The Korean Peninsula in Crisis? Concerns that Iran may seek to develop its own nuclear arsenal once the Joint Comprehensive Plan of Action (JCPOA) expires in 2025 are legitimate. But how can one make an informed decision to decertify the deal when so far Iran has complied with the terms of the 2015 agreement signed under the UN auspice? Politically speaking, Donald Trump, against the recommendations of his top advisors decertified the deal after having already recertified it at two previous occasions. While this decision may appeal a Trumpian base that perceives multilateral and diplomatic efforts as a form of weakness undermining American grandeur, a divide between the US and the Europeans is apparent regarding the survival of the Iranian nuclear deal. European counterparts, especially France, Germany, the United Kingdom and the European Union (known as the E3/EU), have not shied away from expressing their opposition to such unilateral decision by the White House. On the Iranian question, French diplomats are in full agreement with their German, British and other European counterparts. The E3/EU was a core group keeping the negotiations alive throughout the first decade of the 21st century. France was particularly tough in the last stage of the agreement, when Paris wanted serious guarantees on the respect of the agreement and its implementation. In May 2017, French voters elected Emmanuel Macron. Even though his foreign policy agenda was not the heart of his campaign, several lines of conduct can be identified. First and foremost, he ran on an unconditional pro-European Union agenda. Second, he has defended multilateralism and the promotion of international institutions and agreements. His views on the EU and multilateralism are consistent with the belief that France’s power and influence are multiplied via multilateralism and international cooperation. The Iranian case has demonstrated a common position by the three leading European powers, France, the UK and Germany, plus the EU. The French and European diplomats have remained adamant on the point that Iran has thus far complied with the terms of the deal and have allowed UN experts to investigate and monitor Iranian facilities. Ambassador of the EU to the United States, David O’Sullivan, has repeatedly defended multilateralism and the Iranian nuclear deal. For France and its European counterparts, the survival of the Iranian deal goes beyond the unique existence of Iranian nuclear program. A decertification by Donald Trump could have major consequences on global affairs. Donald Trump in the first year of his presidency, Trump signalled that the United States is no longer a reliable and trustworthy diplomatic player. The U.S. departure from the 2015 Paris agreement on climate change in the first weeks of his presidency already sent a message to the world about the America’s unwillingness to remain true to its commitments and engagements. Decertification gave the U.S. Congress a 60-day window to re-impose sanctions against Iran. For France and Europe, three direct consequences could be expected: economic consequences, growing instabilities in Syria, and a death-knell to any diplomatic solution with regards to North-Korea. With regards to the latter, the chance of military confrontation could increase, leaving the Europeans and other global players unable to advance a peaceful option under constant for fear of being undermined by the U.S. President. In reference to Syria, from a French perspective, Iran is a major player along with Russia in the region. The Syrian civil war has fueled the rise of radical Islamic movements (directly and indirectly) launching attacks against civilians on the European continent as well amplifying one of the worst contemporary migratory crises. The Trump administration contends that Teheran has not lived up to the ‘spirit of the deal’ in light of its recent role on regional geopolitics. But the U.S. decertification will not necessarily reduce rather than not affect or increase Iran’s regional influence. Lastly, American sanctions against Iran could have economic consequences on European companies and banks in Iran and interfere in EU-Iran trade relations. As of November 2017, key questions were whether the U.S. Congress would impose sanctions would impose sanctions aimed at having economic consequences on European companies in Iran, and whether the EU or EU countries would then effectively protect European companies against such sanctions. In his UN address, Macron argued that “wherever there is dialogue and control, multilateralism has powerful weapons and is useful.” The Iranian dossier illustrates the widening gap between Europe and America and highlights antithetical perceptions of the world and diverging means to engage with the world. 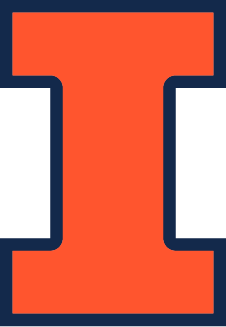 You can take a look at our student written and published journal - the Illini Journal of International Security.